Ryan Landry and his band of misfit actors, The Gold Dust Orphans, present a brand new musical adventure based on “The Miracle Worker” and “Gypsy”. 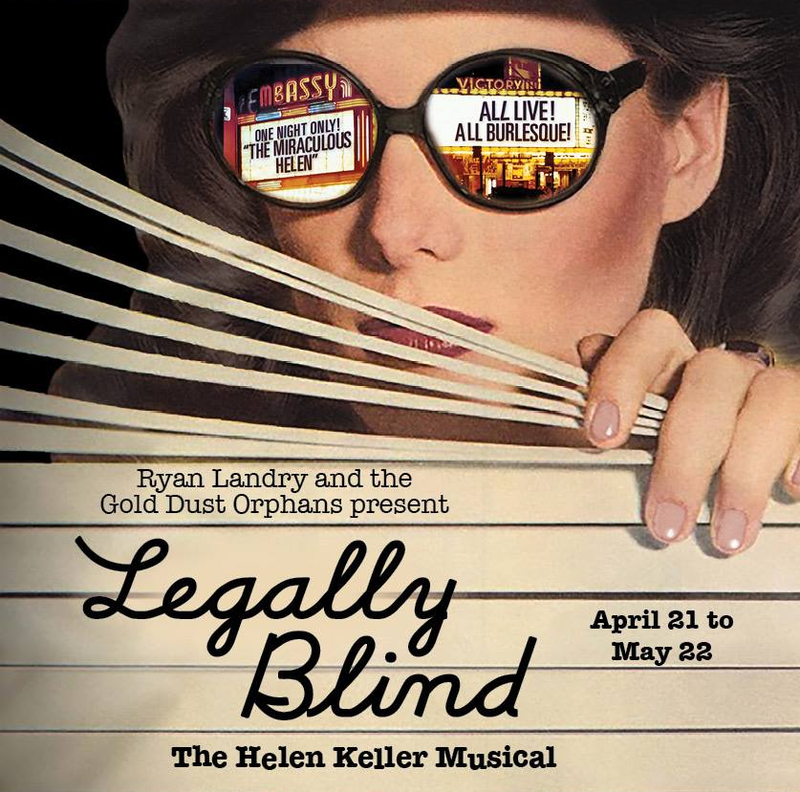 The full name of the musical is, “LEGALLY BLIND – The Helen Keller Musical” Based on two classic pieces of American theatre, William Gibson’s “The Miracle Worker” and Stephen Sondheim’s “Gypsy”, “LEGALLY BLIND – The Helen Keller Musical” gleefully follows the musical misadventures of one Annie Sullivan, (Ryan Landry) and her physically challenged yet remarkably gifted student, Helen (Jessica Barstis) as they wind their way along the ever changing landscape of adult entertainment through song, dance and plenty of laughs. Tickets are currently on sale for the limited run which opens on Thursday, April 21st. For more information and to purchase tickets online link here.